Tired of straining your eyes and neck to view your flat screen computer monitor or TV? We have the perfect solution! Shop the affordable selection of ergonomic flat screen TV mounts for sale at OfficeFurnitureDeals.com for home, conference room, private office, and training room environments. 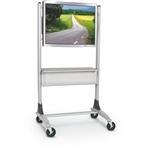 We offer durable and highly adjustable flat screen monitor arms manufactured by Symmetry Office, ESI Ergonomic Solutions, and Systematix. 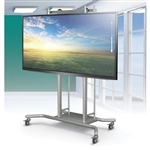 Our flat screen TV mounts will increase usable workspace and reduce eye strain the moment they're installed. 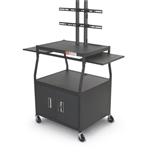 All of the flat screen TV mounting solutions for sale at OfficeFurnitureDeals.com include free shipping for added value. Need help selecting a flat screen TV mount for your home or business? Contact our specialists today at 800-456-6746.